CAPITAL rivals Hearts and Hibs have issued a joint statement condemning a number of incidents in last night’s Edinburgh Derby. The two clubs said they would work together with Police Scotland to ensure that those involved in ‘isolated events which marred an otherwise compelling fixture’ were identified and punished appropriately. 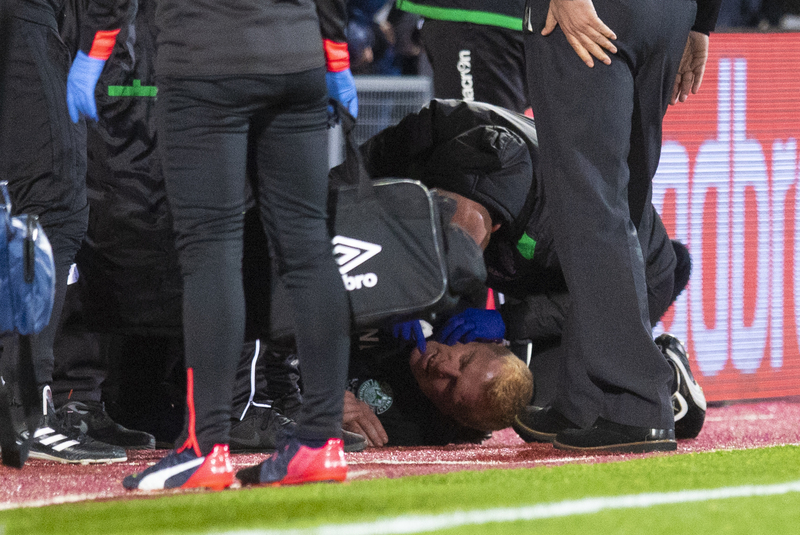 The match saw Hibs manager Neil Lennon struck by a coin thrown from the Hearts support, and assistant referees Frank Connor and David McGeachie were also hit by missiles from the crowd. TV pictures also appear to show Hearts goalkeeper Zdenek Zlamal being struck by a Hibs fan when trying to retrieve the ball. Five people were arrested at the match, and a 25-year-old has been charged with an assault involving one of the linesmen. Hibernian and Heart of Midlothian have released a joint statement following yesterday's Edinburgh Derby. 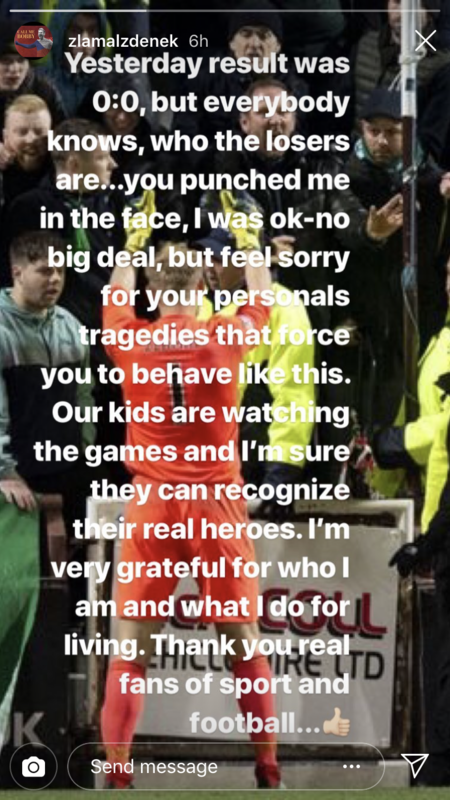 Ann Budge, Owner and Chairwoman at Hearts, said: “The first thing I want to say is that we 100% condemn the handful of unsavoury incidents that took place during last night’s Edinburgh Derby. “We will work closely with Police Scotland and Hibernian to identify the individuals involved in these incidents to ensure they are banned from attending our two stadiums and appropriate charges may be brought. “Of the 5 arrests made last night, 1 of them was made possible because fellow supporters identified the culprits. By working together in this manner we will succeed in removing the tiny percentage of fans, whose behaviour spoils things for the majority. Leeann Dempster, Chief Executive at Hibernian, added: “The two Clubs are united. This kind of behaviour is simply not acceptable. We do everything we can to ensure that we run matches in a way that is safe for everyone involved. Players, coaches, supporters, the media, everyone who goes to a football match is entitled to enjoy the match in safety and security. “We will not allow the mindless actions of a few foolish individuals to jeopardise that. We will learn any lessons that we can from this, but we would also call on supporters to play their part in helping us to identify those responsible for this kind of unacceptable and potentially dangerous behaviour. 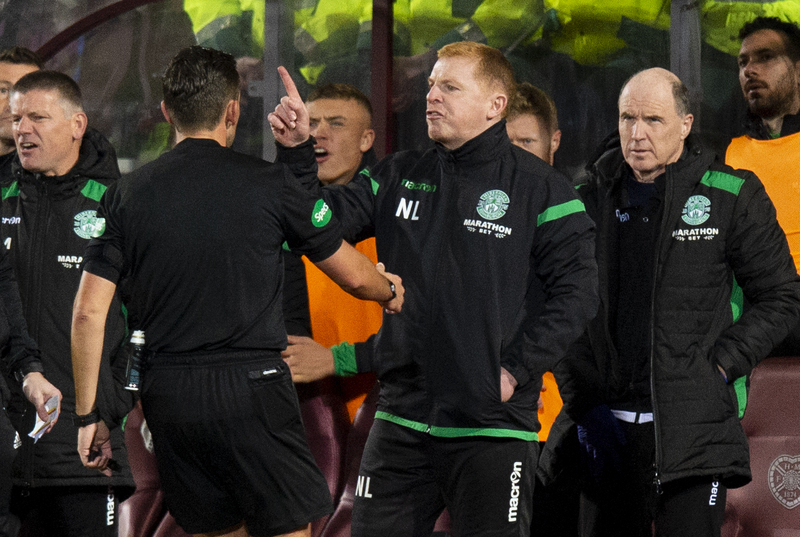 In the aftermath of the match, Lennon said he was ‘fizzing’ with anger about the incident. “My jaw is throbbing,” he said. “I’m very, very angry. “It’s disgraceful. I don’t blame the club – you can’t legislate for the hatred of some individuals or the badness. What possesses people to throw things on to a football pitch I will never know. When asked what he would say to him, Lennon said: “It’s not for public consumption, trust me. I don’t know if I would saying anything to him. “The referee might have had some missiles thrown at him as well, I don’t know who by. Earlier today, Czech keeper Zlamal wrote on social media: “Yesterday’s result was 0-0, but everybody knows who the losers are. You punched me in the face. I was ok – no big deal, but feel sorry for your personal tragedies that force you to behave like this.